KoopaTV: Apollo Justice: Ace Attorney Is NOW Coming to Nintendo 3DS! If the $20 is too high for you, then I bet if you wait for Christmas, CAPCOM will put Apollo Justice: Ace Attorney on sale. They'll call it the CAPCOM Winter Sale 2017... or something like that. I mean, they did it in 2016 (and 2015), and Phoenix Wright: Ace Attorney — Spirit of Justice got a 33% price cut even though it was released months prior. Still, I know SOME folks just cannot wait for a better opportunity to come later. One of those folks is KoopaTV staffer RawkHawk2010. If you look at his Miiverse profile (by the way, one of the big advantages that the 3DS version of Apollo Justice: Ace Attorney will presumably have over its mobile counterpart is Miiverse functionality) over the past, what, two and a half months, you'll see he played through the entire Phoenix Wright: Ace Attorney Trilogy. Screenshot from the high-definition mobile version of Apollo Justice: Ace Attorney, courtesy of Rawk. The 3DS version will look a bit different, but it will also be revamped from the DS original. If only he had waited for the 3DS version. Oh well. My ask of you is this, dear reader: Buy Apollo Justice: Ace Attorney for your Nintendo 3DS family handheld when it releases, especially if you haven't played it before. I admit, it's a bit harder to justify purchasing it if you already have played it. “Keeping with the spirit of the original release, the game’s artwork has been updated to take advantage of more modern screens, giving Apollo and the colorful cast of characters a crisp, clean look and detailed animations. Seasoned veterans will also appreciate the option to quickly skip text – even if you haven’t read it already! You’ll also be able to choose between English and Japanese versions of the game from the main menu, which is more than a simple language switch option. It's unclear why CAPCOM is calling the 3DS's capabilities unique when the original DS did that, too. In fact, Apollo Justice has the most involved gameplay in any Ace Attorney game, and I mean that in terms of interactivity. Many sections of the game are there to debunk the “it's just reading, why bother playing the game?” myth surrounding the Ace Attorney series. Nothing unique with the 3DS in that. What is unique about the 3DS is that, in a few months, it will be the only platform where you can play all six mainline Ace Attorney games without resorting to backwards-compatibility! CAPCOM also endorses playing Dual Destinies and Spirit of Justice before Apollo Justice: Ace Attorney. I believe that you could do that with Dual Destinies and still mostly enjoy it, but you will be missing substantial elements from Phoenix Wright: Ace Attorney — Spirit of Justice without playing Apollo Justice: Ace Attorney first. Dual Destinies didn't really spend too much time on Apollo Justice (even with his cool early-game outfit), but Spirit of Justice is tied closely to Apollo Justice. If you win all of the KoopaTV Loyalty Rewards Program rounds between now and Apollo Justice: Ace Attorney's release in November, you will have earned enough Nintendo eShop points to purchase the whole game! (Assuming you don't live where sales tax is applicable.) For more information, check out the KoopaTV Loyalty Rewards Program. Sort of important side-note: Rawk only starting Phoenix Wright: Ace Attorney Trilogy this May means he made the Miracle Never Happen video with Donald Trump without having played Phoenix Wright: Ace Attorney: Justice For All. Just to prove Ludwig wrong, two weeks after this article CAPCOM created the unprecedented CAPCOM Summer Sale 2017. Certain companies with news organisations are spreading FAKE NEWS about Apollo Justice and his game. The release date in North America will be November 21, 2017. Behold! The release date and the calendar have converged, and Apollo Justice: Ace Attorney is now available on the 3DS. I'd argue that a certain moment in the final case of Dual Destinies has less of an impact if you haven't played Apollo Justice, too. Now, bring on the Investigations 2-pack for the 3DS! I'm of the opinion that Apollo in Dual Destinies is pretty dissimilar to how he was in Apollo Justice, and their backstories didn't... overlap. So you've moved to the 2-pack hope! Well, that's always made more sense than non-Wright trilogy. I played Apollo Justice on the DS last year. It wasn't as bad as some made it out to be. 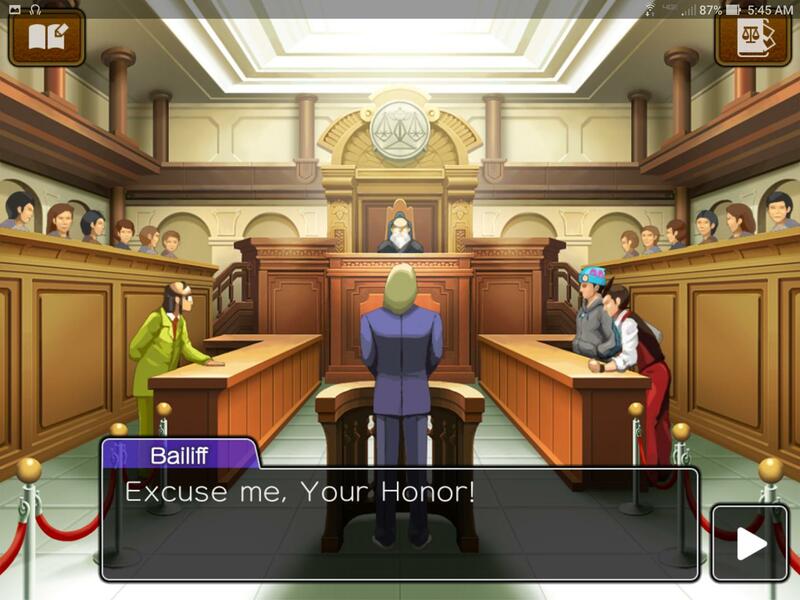 I then began Dual Destinies, but I stopped around the beginning of the third case. Eventually, I will return to it. Dual Destinies is a lot more pleasant to play through than Apollo Justice, so... It's not hard to finish. I did play Spirit of Justice without playing Apollo Justice, and I'm super stoked for this. I don't know this for a fact, but I suspect that while playing Apollo Justice will enhance Spirit of Justice, it doesn't go vice-versa. I'm still very glad of the opportunity, though. Oh, yeah, yay, I guess.